The Holiness of God – The angels around the throne of God cry out, “Holy, Holy, Holy.” What is holiness? How am I supposed to imitate it? Understanding this supreme attribute of God will keep us from sin, motivate us to witness, and inspire us to worship God through praise! 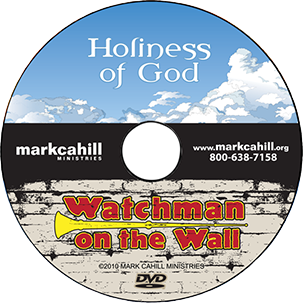 Watchmen on the Wall – The second talk on this DVD is called, “Watchman On The Wall.” As this world continues to spin seemingly out of control, are you sounding the trumpet? Are you warning folks that God takes no pleasure in the death of the wicked? Are you challenging people to flee from the wrath to come as Luke 3 talks about? Listen to this message and start sounding the alarm!